293. 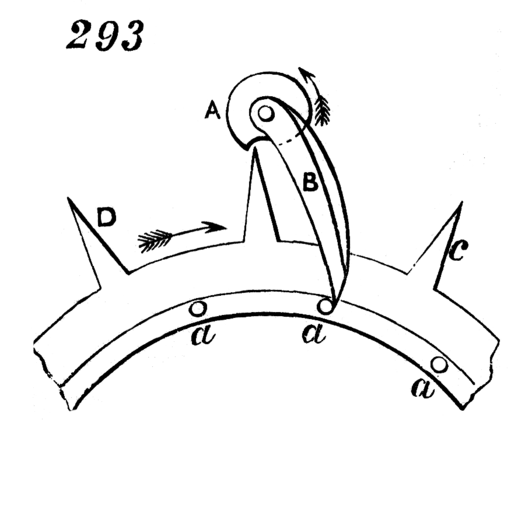 Duplex escapement, for watches, so called from partaking of the characters of the spur and crown wheels. The axis of balance carries pallet, B, which at every oscillation receives an impulse from the crown teeth. In the axis, A, of balance-wheel is cut a notch into which the teeth round the edge of the wheel successively fall after each one of the crown teeth passes the impulse pallet, B.